The best in its class, the 55” class super narrow bezel 55LV77A-7B equipped with IPS (In-Plane Switching technology) technology reproduces accurate and consistent color from virtually all viewing angles. 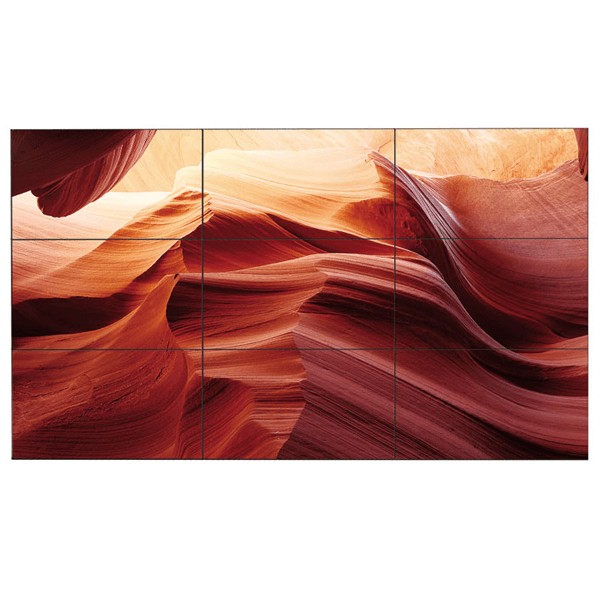 55LV77A-7B contains a super narrow bezel to bezel widths of 3.5mm create a powerful and impactful video wall that will attract and entertain the audience. In addition, its special shine-out film helps deflect sunlight making it ideal to be used in areas that have a high amount of ambient light such as window displays and quick service restaurant drive-through kiosks. The addition of LG 55LV77A-7B Video Wall Display to any display wall is surely going to be a head turner for all. LG 55LV77A-7B has arrived with a package of new and innovative technologies which is bound to reshape the way video walls have been seen. In the past, users have always been restricted in terms of number of panels they could deploy because of limited support from the electronics of the systems. Now, thanks to the advanced electronics of the LG 55LV77A-7B, there’s absolutely no restriction to the number of panels that can be integrated and deployed with a high definition UHD source. Now huge video walls can be driven with a single HD video signal because of the daisy chaining capability of the system. Maintaining a uniform video quality has been of the key issues in the video wall technology. Over the years, companies have tried to develop technologies to maintain a uniform high definition video wall. LG 55LV77A-7B is an example of LG’s success in this regard. With its new and intuitive technologies, LG 55LV77A-7B successfully maintains a brightness uniformity of 90% which delivers a crystal clear image across displays. Furthermore, TruMotionTM ’s 60Hz refresh rate reduces motion blur and judder, as a result, ensures that customer enjoy clean video content throughout. Setting up a video wall with continuous high definition display is not the only challenge in achieving the best video wall experience. To ensure that the entire display comes across as complete, uniform and natural, the internal spacing between the panels must be completely conspicuous. This has been smartly achieved by LG 55LV77A-7B with its 3.5mm Super-Narrow Bezel display that creates a visually stunning video wall that is easily installed, maintained and managed. Q. Can LG 55LV77A-7B Video Wall Display be connected to external media sources? A. Yes, LG 55LV77A-7B Video Wall Display can easily be connected with external media sources and data can be transferred. Q. Are there any overheating issues in LG 55LV77A-7B Video Wall Display? A. LG 55LV77A-7B Video Wall Display works perfectly smooth within a considerable temperature range with no overheating or hotspot issues. Q. Can timing for content repetition be set in LG 55LV77A-7B Video Wall Display? A. Certainly, timing can be set for scheduled repetition of content. Q. Can brightness or contrast be adjusted in LG 55LV77A-7B Video Wall Display? A. Yes, LG 55LV77A-7B Video Wall Display allows for contrast and brightness adjustment. Q. 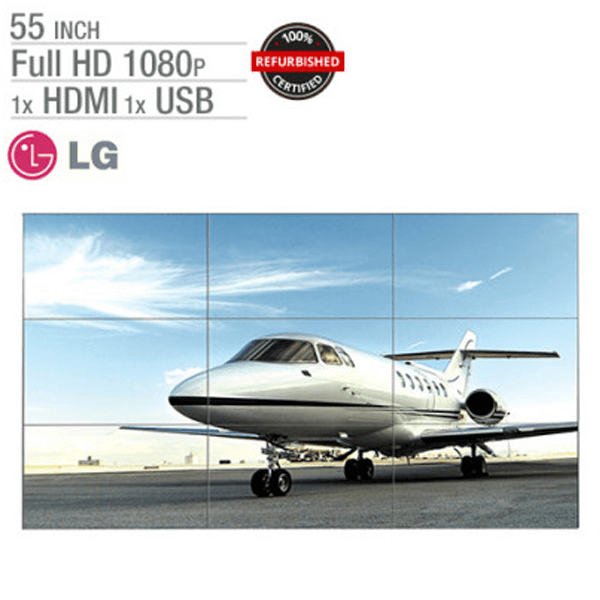 Can LG 55LV77A-7B Video Wall Display be delivered to my address? A. LG 55LV77A-7B Video Wall Display can be delivered to your address with additional shipping cost.